Notes: Castle Drogo is a country house near Drewsteignton, Devon, England. It was built from 1911 and was finished in 1930 for Julius Drewe (businessman and founder of the Home and Colonial Stores) to designs by architect Edwin Lutyens, and is a Grade I listed building. It is currently undergoing a 5-year conservation project (2013-2017) to finally make it watertight. 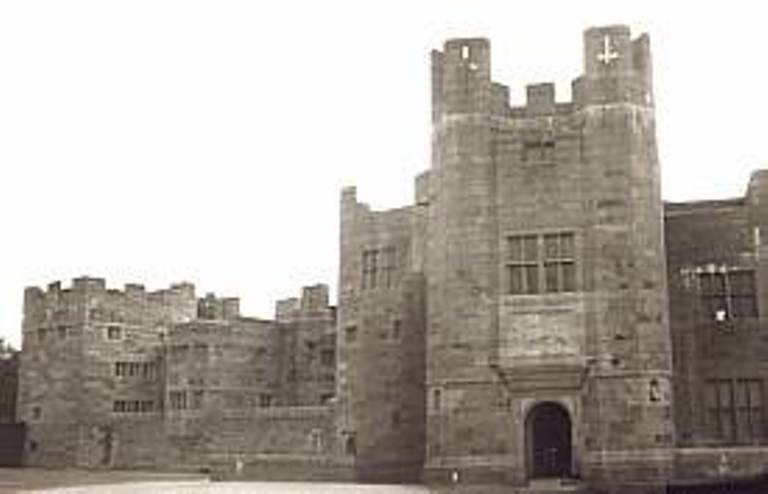 Castle Drogo was the last castle to be built in England, and probably the last private house in the country to be built entirely of granite. The castle has a fine formal garden, designed by Lutyens with planting by George Dillistone, which contrasts effectively with its striking setting on the edge of Dartmoor. The garden is noted for its rhododendrons and magnolias, herbaceous borders, rose garden, shrub garden and circular croquet lawn. The Heritage Trail | Castle Drogo.